Along with Hong Kong, Macau (or Macao) represents one of the two Special Administrative Regions of The People’s Republic Of China. Formerly a Portuguese colony, the sovereignty of Macau was transferred back to China just before the turn of the millennium. 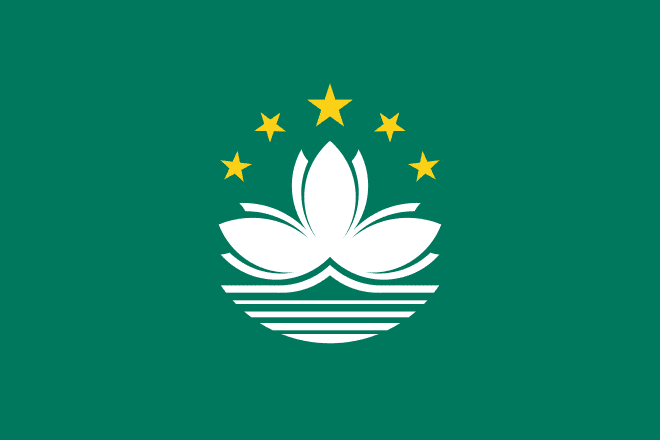 One of the stipulations of the handover was that Macau would operate with a high degree of autonomy until 2049, and within a short period of time, it has become one of the richest cities in the world – mainly thanks to income from gambling activity. As it stands, Macau is comfortably the largest gaming jurisdiction in the world. In 2013, the combined estimated win of all the casinos in the city were around $40 billion. To put that figure into perspective, it equates to more than all of the privately owned casinos across the USA – including Las Vegas. Let’s take a look at the betting sites available to residents of Macau (Macao). Macau has a long and illustrious gambling history. As far back as the sixteenth century, Chinese workers introduced their popular traditional gambling games of Pai Gow and Fantan. Over the years, other games developed and a strong betting culture grew. The rise to prominence of Hong Kong in the mid 1800’s prompted a reaction from the Portuguese government, who made gambling legal in order to give the country something different. At a time when most other countries were outlawing wagering and games of chance due to their perceived negative social effects, this move helped to stimulate the economy, as it offered a gambling haven for locals and foreigners. By 1877, the government realised that they would be able to benefit from the turnover generated through wagering, and started to impose a gambling tax on operators. Control of the games went to tender, with the highest bidder gaining profits but paying tax to the government. Roulette clubs were introduced to Macau in the early twentieth century and their introduction threw the proverbial cat amongst the pigeons as there was no tax or tender system in place for this new form of wagering. A few years before the Second World War the problem was solved, as all games of chance were placed under the same banner and were to be controlled by the highest bidder. Post-war in 1949, neighbouring China outlawed gambling. This provided a significant incentive for Macau to retain a relaxed and free gambling market, as it would attract tourism from China, with players who wanted to satisfy their betting inclinations able to legally do so whilst visiting. By the early 1960’s, it was established that Macau would focus primarily on gambling and tourism for its income. From 1962, Sociedade de Turismo e Diversões de Macao ran a monopoly on the gaming industry in Macau, with games such as Fantan, Baccarat, Blackjack etc. being licenced in casinos. The monopoly lasted for around forty years, until, shortly after China regained control, the Macau Gaming Committee decided to offer out three gaming concessions to different companies, with the aim of stimulating competition and innovation. Over the next decade, the number of casinos expanded significantly in size and by the end of 2013, there were 35 casinos operating in Macau. With the overwhelming majority of visitors to Macau being Chinese, how does the casino industry generate so much revenue given that China only allows 20,000 yuan ($3,200) to be moved out of the mainland at any one time (up to a maximum of $50,000 a year)? The simple answer is junkets. Junket agents act as a medium for high-rollers to move their money. Players can credit bet in Macau and settle up in the mainland with these agents, or they can transfer their funds whilst in China and have it laundered across. Either way, with no legal way of enforcing gambling debts, problems can arise. For those visiting or residing in Macau, there is the opportunity to legally access a sportsbook. Macau Slot (aka Sociedade de Lotarias e Apostas Mútuas de Macau Lda) hold a monopoly on non-racing sports betting, and their contract has been extended until the summer of 2015. Whilst technically speaking, every casino has the ability to provide sports betting within their premises, it is Macau Slot who have been granted control over the odds compilation. This has dissuaded many of the big casino operators from delving too seriously into the sportsbook market, as they have not got the ability to adjust the odds and lines according the liability they have for each match or market. This goes against the essence of pure bookmaking. Whilst there is officially a sportsbook monopoly in Macau, illegal gambling is rife and generates huge turnover each year. In this year’s 2014 FIFA World Cup, police in Macau busted a betting ring which was operating from a hotel in the gambling paradise. It is estimated that the syndicate had taken bets which totalled to over $645m on the tournament alone. Online gambling in Macau is legally accessible through only two sites. The Macau Jockey Club control the gambling on horse racing, and Macauslot have an online portal through which they can offer their sportsbook markets. 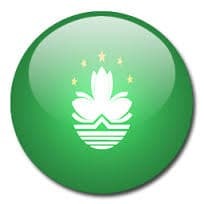 As mentioned, there are two options for citizens of Macau to legally strike a bet online; www.macau-slot.com for sports betting and http://www.mjc.mo for horse racing. In this instance, ‘sports betting’ could actually be a cited under the Trade Descriptions Act, as all that is offered on Macau Slot’s very basic website is football and basketball. Customers are able to strike bets both pre-game and during the matches on a limited number of markets. The Macau Jockey Club website enables punters to place Tote style bets on horse racing in Macau and recently it was made possible for customers to have a wager on the Hong Kong racing. Apart from these two very limited domestic options, there are a large number of bookmakers who accept sign-ups from Macau. The terms and conditions of these bookmakers typically state something along the lines that, ‘it is the player’s responsibility to ensure that they are acting within the laws of the country from which they are registering’ – thus absolving the bookmaker from any blame. However being as hospitable as possible to players from Macau and elsewhere by providing the translation of their website into Chinese, is a clear indication that the firms want to attract custom. Macau-Slot offer the option to fund accounts via telephone banking, online banking, a cash deposit system and betting vouchers which can be funded using a debit/credit card. Bank account details are required as part of the registration process when using the Macau Jockey Club website and is the primary means through which customers can deposit and withdraw. Skrill is the only e-wallet that can be used by those living in Macau. Paypal does not offer its services to the country and Neteller made the decision back in 2008 not to process gambling transactions in Macau. Using Skrill or a prepaid virtual card such as Entropay provide a degree of anonymity and security to transactions. Both horse racing and greyhound racing are well supported in Macau. Horse racing was first introduced in the form of ‘trotting’, which ultimately never took off. Due to the lack of interest in trotting, the Macau Trotting Club was transformed to the Macau Jockey Club in 1989. The main course is located on Taipa Island. The original trotting track has been retained and now forms the inner sand loop on the course, with the thoroughbred racing carried out on a larger turf track. Each year there are several highlights in the racing calendar, with the Macau Gold Cup, the Macau Derby and the Chairman’s Challenge Cup enticing hoards of punters from April through to the summer. There are over 200 on course betting terminals that allow punters to place bets and these are complimented with roughly 80 off-course terminals located around Macau. Greyhound racing is held at the Caindrome, with many of the runners being imported from Australia. There is action several days a race with normally around sixteen heats per meeting. In return for a small admission fee, customers are entitled to a free bet on course. There are also off course betting facilities which are located at Kam Pek casino, Jai-Alai Palace and Hotel Lisoba. Football is a massive gambling sport and pass time in Asia, and it is enjoyed by many in Macau. Although there is no professional league domestically, citizens are able to have a financial interest in leagues throughout the world. Macau Slot odds on games from Italy to Spain to the Champions League, and by far most attention is paid to the English Premier League. With top teams such as Manchester City, Chelsea, Liverpool and Manchester United having a significant commercial presence in Asia, and with most matches being televised each week, it is easy to see where the interest develops from. Basketball garners interest from the public in Macau. The national team unsurprisingly have not cut much ice, with their biggest achievement to date being participating in the FIBA Asia Championship. There are many non-professional leagues in Macau and interest in top competitions such as the FIBA Basketball World Cup and National Basketball Association (USA) are high. The Macau is also home to the biggest poker cash games you’ll find anywhere on the planet. Many of the top professionals spend long periods of time in Macau as they play up to 48 hours at a time against the rich business who like a game, and who the professionals see as easy money. Macau has survived and thrived for a long period as a gambling and tourist hub, and has recently become one of the richest places in the world. Like much of Asia, its citizens have a passion for gambling and the online options offered by the Macau Jockey Club and Macau Slot are limited to say the least. Large Asian operators and other bookmakers from around the world are happy to provide their services to citizens of Macau and that does not look to change any time soon – there is an extensive choice for those who like to gamble.